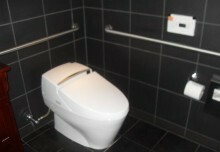 One of the most common bathroom safety ideas is the addition of grab bars. These handy rails can offer any person support in the homes most slippery environment. A securely fastened grab bar can make the difference between a momentary slip and a hip-breaking fall. Too often though, people are reluctant to add them to their homes because of the institutional effect they believe will result. Many people envision the stainless steel institutional-style rails theyve seen used in public restrooms and just dont feel they are aesthetically pleasing enough  particularly in a more traditionally decorated home. But stylish and sturdy are no longer at opposite ends of the design spectrum. Todays grab bars come in all shapes, sizes, and finishes. 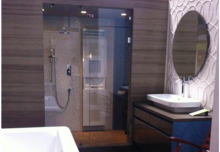 They can be installed over tile, drywall, fiberglass and other wall surfaces. When not in use as grab bars, many even serve double duty as stylish towel racks. Simple grab bars cost as little as $25 each. More elaborate shapes, finishes and sizes can cost $275 each. The majority fall into the $75 range and will require installation at additional cost. Wall reinforcement may also be required which will raise the cost of installation. 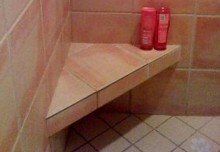 Makes it easier to get in and out of showers and tubs. Makes it easier to lower to and rise from the toilet. 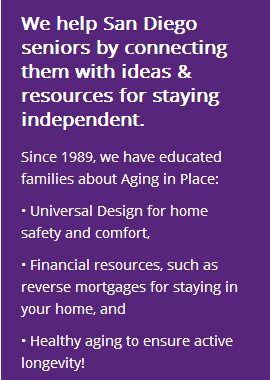 Helps prevent falls by providing hand-rail support while walking in potentially slippery areas. 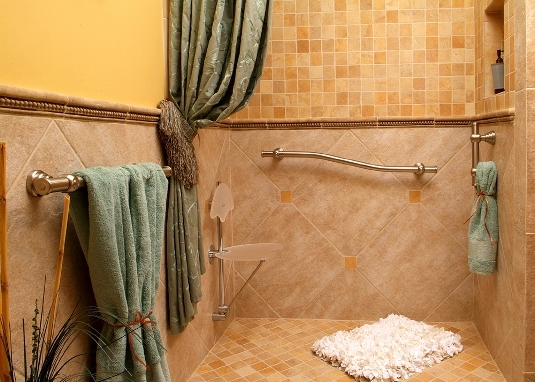 Consider how the bathroom is configured and where grab bars would be most useful. A 24-inch grab bar positioned at the most convenient 45 percent angle will attach easily to wall studs located the standard 16-inch apart. Consider your bathroom décor  some grab bars may be more fitting for a modern or sleek style, others offer a more traditional aesthetic. Hire a handyman to install the grab bars using stainless steel screws to prevent rust. Some grab bars may require wall reinforcement before installation. This may be a good opportunity to clad additional walls in plywood for future grab bar positioning.